Vivid Motion classes are open to everyone (all bodies, identities, races and ages), are taught at a variety of levels, AND are pay-what-you-can! We offer classes for dancers finding their way back into the studio and for those just beginning their dance journey. Each 6-12 week session offers a different style of class. Whether mixed level, beginner or intermediate/advanced our teachers are experienced, patient and excited to help everyone learn to dance. Our classes are pay-what-you-can. Truly. Anonymous cash donations are accepted class. On Wednesday evenings Brigitte Paulus will teach Intermediate and Advanced Contemporary Dance. This short session will be a fast paced class focused on improving technique and learning longer form combinations quickly. Using modern music and Brigitte’s unique style of movement, a warm-up rooted in ballet and jazz technique will be followed by combinations meant to challenge more experienced dancers. Come prepared to learn, practice, work hard, and have fun becoming a better dancer. Repertoire with MZ - Sundays 4:30-6pm - Drouin Dance Center (Gold Room)- 90 Bridge St. Westbrook. All are invited to stay warm and in shape this winter with Vivid Motion's latest classes. On Sundays, come see what MZ has created for choreography in her all-new series focusing on technique, quality of movement, and strengthening, open to all levels. 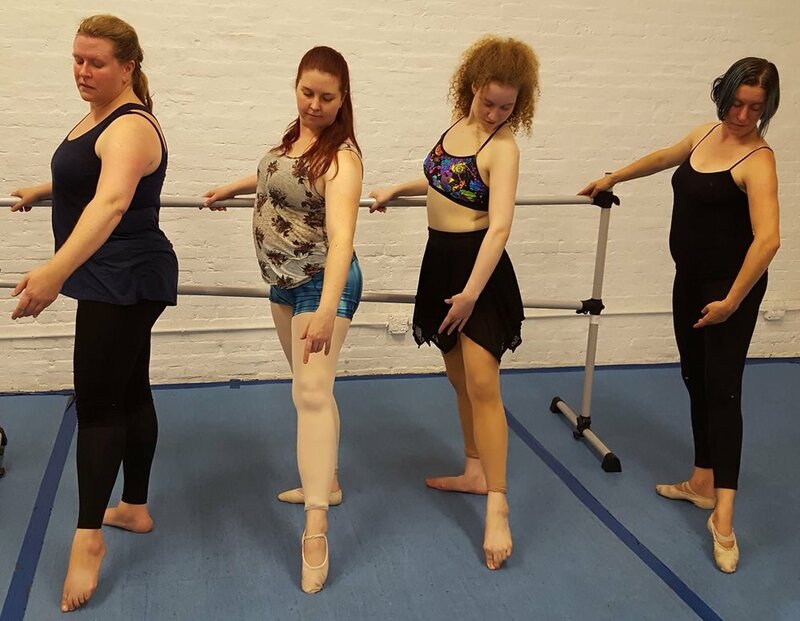 In this contemporary, lyrical, and ballet class, dancers will build a body of works, some of which will be showcased at the Vivid Motion studio show in April. Do you make up dances in your living room? Maybe it’s time to bring them to life! Whether you’re an accomplished choreographer or you’ve never done it before, this 8 week workshop (that culminates with showing your work at Vivid Motion’s 5th Annual Studio Show in April) will lead you through all stages of choreographing, from creation to rehearsals and finally production. You will learn choreography concepts and structures, how to map out music, and skills used to find inspiration when you’re suffering from choreographer's block. You will have time to explore movement and ideas with other dancers, helping each other by being part of small groups for choreography. Ideas generated in the workshop can also be put onto larger groups that rehearse independently. The classes will build on one another, so attendance at all is highly encouraged. Participation in the Studio Show is not mandatory. Brigitte Paulus has been dancing and making choreography for 30+ years--She’s picked up a lot along the way and wants to share it with you. PARKING FOR CLASSES AT PORTLAND BALLET STUDIOS. There is some street parking on Forest and in the neighborhoods nearby. There is a lot for Portland Ballet on Ashmont St. The Portland Ballet Lot is the second lot on the right. Do not park in the lot that says #550 only. Do not park behind the Portland Ballet building, You will be towed. You can park in the spots in front of the mill or in the big lot at the end of the mill. If there is no parking in those places (this rarely happens) there is some parking available in the surrounding neighborhoods. Do not park in the loading dock areas, you will be towed. Want to be in the know? Sign up for our newsletter for class information!